The IP and Domain Tools Script is an easy to use and easy to install php script. It is ideal for a standalone site or to integrate the usefull tools to your existing web site. 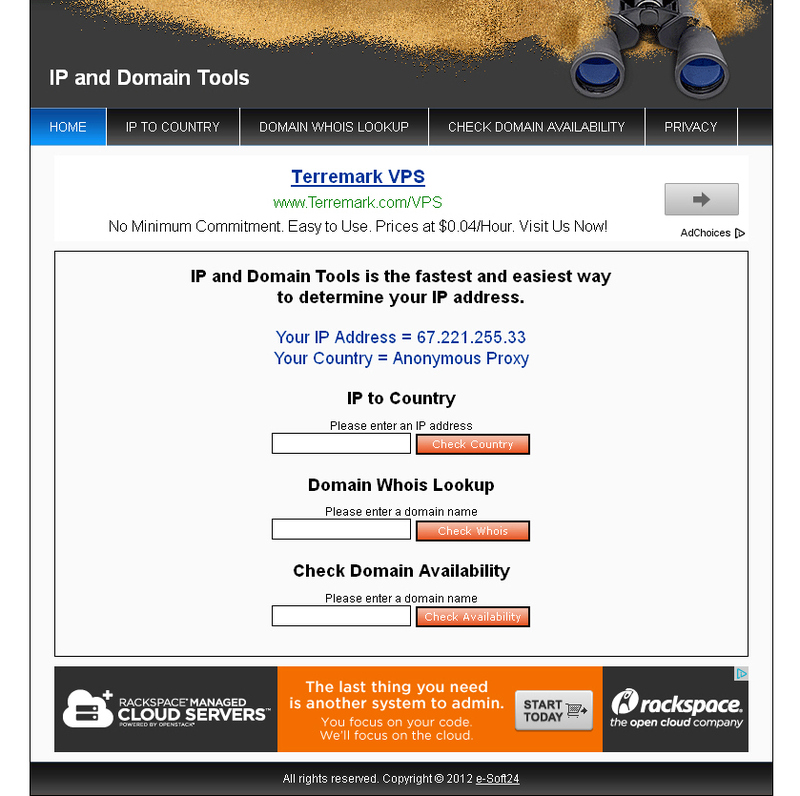 On the home page the visitor gets his ip address and his ip address country shown. Such sites like whatismyip.com have much visitors, because it is important to know the correct ip address, if a visitor uses a proxy server to surf anonymous. But that's not all. The script comes with 3 further popular web tools: Domain Whois Lookup, Domain Availability Check and IP To Country Check. So make money with ease with AdSense and offer your visitors great and usefull web tools. - Shows the visitors ip address and country. - Supports 260 different tld's. - The latest Domain Whois Lookups and Domain Availability Checks are stored to offer your visitors a better experience. - No database required, the data will be stored in text files.